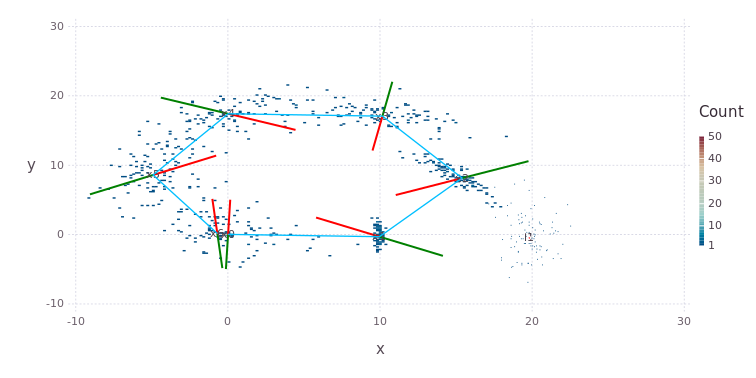 A simple 2D robot trajectory example is expanded below using techniques developed in simultaneous localization and mapping (SLAM). This example is available as a single script here. The first step is to load the required modules, and in our case we will add a few Julia processes to help with the compute later on. 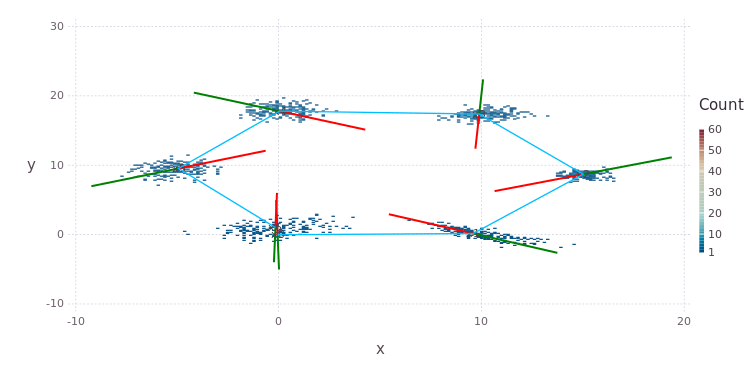 A factor graph object fg (of type ::FactorGraph) has been constructed; the first pose :x0 has been added; and a prior factor setting the origin at [0,0,0] over variable node dimensions [x,y,θ] in the world frame. The type Pose2 is used to indicate what variable is stored in the node. Caesar.jl allows a little more freedom in how factor and variable nodes can be connected, while still allowing for type-assertion to occur. NOTE Julia uses just-in-time compilation (unless pre-compiled) which is slow the first time a function is called but fast from the second call onwards, since the static function is now cached and ready for use. This will take a couple of seconds (including first time compiling for all Julia processes). 2D plots of the factor graph contents is provided by the RoMEPlotting package. See further discussion on visualizations and packages here. This concludes the Hexagonal 2D SLAM example. 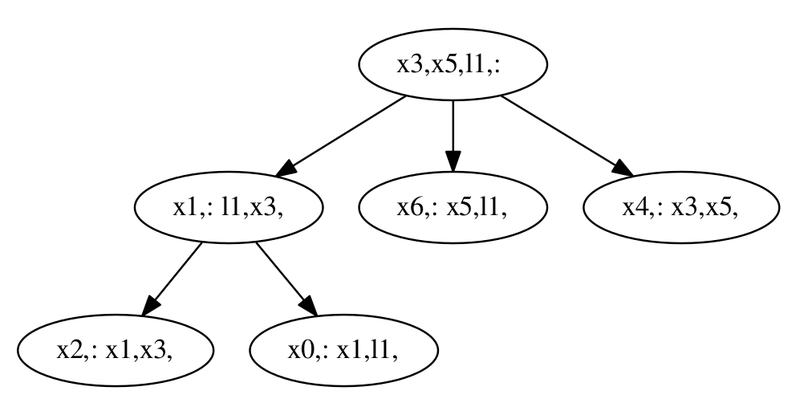 The Bayes (Junction) tree is used as an acyclic (has no loops) computational object, an exact algebraic refactorizating of factor graph, to perform the associated sum-product inference. The visual structure of the tree can extracted by modifying the command tree = wipeBuildNewTree! (fg, drawpdf=true) to produce representations such as this in bt.pdf.